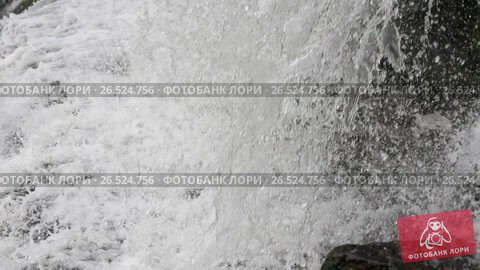 Дата съёмки 22 мая 2017 г.
Close-up spring waterfall with water splashing (with souns). Ecology clear poor water waterfall background. Some flicker effect due to the high velocity of water springs and drops.